Armed with previous experience working in a successful ICO, we formed a teamwork and gave birth to a business concept that we call POINS. POINS (Cryptocurrency Integrated System) is the name we choose and consider it to be very representative of the overall project that we will be working on. We developed 3 (three) platforms with 1 (one) coin namely POINS Trading Platform, POINS wallet, and POINS Incubator supported by funding from POINS COIN sales. Making Concepts, Prototypes and Strategies. Poins Trading Platform (Poinsdex.com) Version Alpha (Internal Market) . Entry POINS COIN to External Market. Poins Trading Platform (Poinsdex.com) Beta Version (Internal Market). 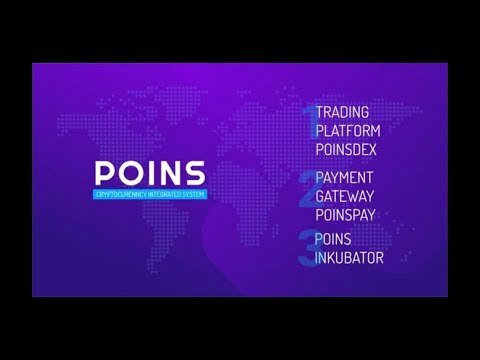 Main Coin Listing in POINS Trading Platform (Poinsdex.com). Entry POINS COIN to Internal Market. Beta Version Poinspay.com with the addition of Alt Coins <br /> Trading Application for Android & IOS. Poinspay.com for Android & IOS. Launching of Shopping Cart Plugin (Functioning as E-Commerce Payment Solution for More Than 20 Integrated Coins). Integrating more than 50 Alt Coins into Poinsdex.com and Poinspay.com. Roadshows, Seminars, Workshops, Poins Introduction. Collect, Analyze, Review, POINS Proposal Audit. Broad Marketing Expansion and Maintenance Project.